For the past few months, Priyanka Chopra has taken the internet by a storm for more reasons than one. 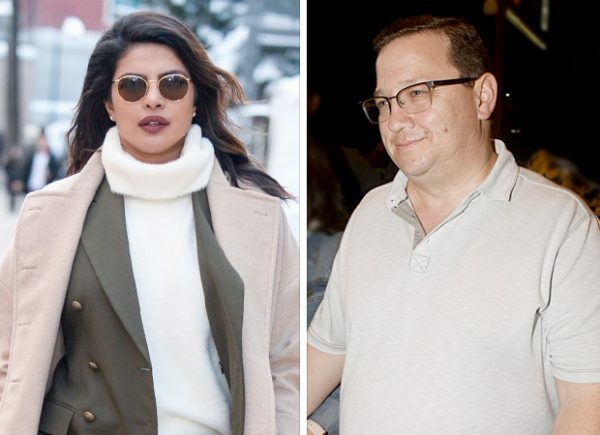 Well, followed by the many controversies that followed after she quit the much talked about Salman Khan starrer Bharat, these reports were soon replaced with love stories about her and American musician Nick Jonas. Well, the media reports soon received confirmation when the power couple took to social media to announce their official engagement. Here’s when we were also introduced to Papa Jonas aka Paul Jonas. Now recent reports claim that Paul has been filed for bankruptcy. While Nick Jonas is a popular American music star, his father Paul, who is fondly addressed as Papa Jonas, owns a construction company. However, now we hear that they are hit by a major financial crisis and are in debt of approximately $1 million. Due to the same, his construction and real estate business has suffered massively leading to legal documents confirming the bankruptcy. If reports are to be believed, Paul Jonas is currently busy with prepping to complete the debt. These reports suggest that the senior Jonas is planning to sell off almost all his assets to ensure that the debt is resolved. And it is also being said that his sons will come to the rescue. Besides Nick, brothers Joe and Kevin too are supposed to be helping their father to come out of this financial trouble. In the meanwhile, in India, Priyanka Chopra has kicked off her next Bollywood venture that she has decided to start off after a hiatus. While her American series Quantico has come to an end with the third season complete, the actress will now concentrate on projects in her motherland. She will next be seen in Farhan Akhtar starrer The Sky Is Pink. Last we heard that the actress was seen with Nick Jonas in Mexico. Also Read: Priyanka Chopra has planned a rickshaw ride for Meghan Markle in Mumbai, read ALL details!